This isn't so much a real HowTo but, rather, an explanation of what bolt patterns, offsets, hub adapters (rings), and tuner lugs are. There's another HowTo already written about choosing the correct tire size. One of the first things worth noting is that just about everything to do with wheels is ridiculously mucked up when it comes to dealing with imperial and metric measurements. Don't be confused by the fact that I will be continually talking about measurements in both metric and imperial terms. I'm not purposely confusing the issue. This is simply the way things have ended up and nobody seems to find it worth fixing. Please read this through carefully and go over a section a second or third time if you don't quite get it. Some of this can be quite confusing. If you still don't understand, by all means feel free to send me an email and I'll clarify it for you. The bolt pattern is pretty much exactly what it sounds like. It's the patten of the lugs on the hub and not all are the same. The pattern is noted as "a x b" where "a" is the number of holes and "b" is the distance from one hole to the one directly opposite of it. There are all sorts of bolt patterns out there. For cars, they use anywhere between 3 and 6 bolts with any number of measurements between them. The j-body uses a 5x100 bolt pattern. The other most common 5 lug pattern in the sport compact world 5x114.3, which is also known as 5x4.5. This is used by the Mazda3 among many others. Note that 100 mm is nowhere near 4.5" and thus, the two are not interchangeable. 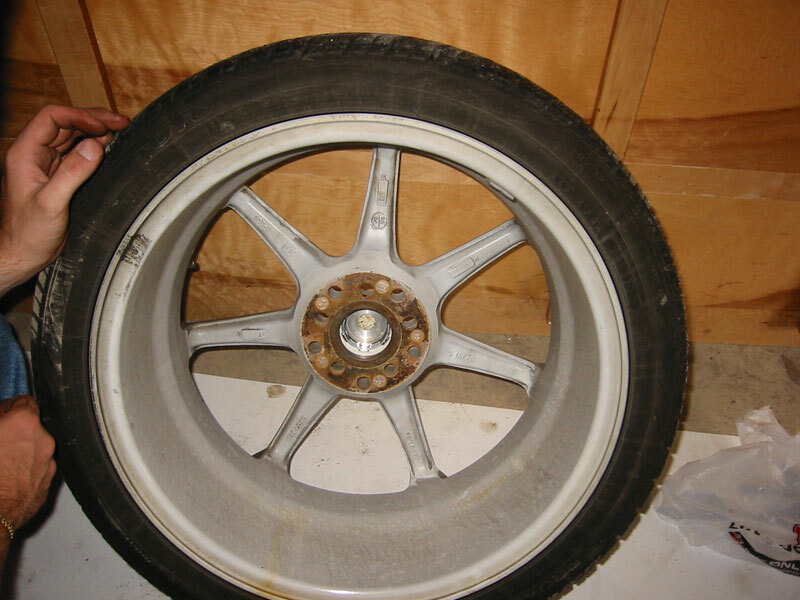 It is important when buying your wheels that you ensure they have the correct bolt pattern. You'll notice that there are many aftermarket wheels with what is called a "universal 5 bolt" pattern that includes both 5x100 and 5x114.3. These are easy to spot as they've actually got 10 holes on them. The wheels shown here have this pattern. The offset is a measurement of the distance from the cross-sectional center of the wheel to the mounting surface. The mounting surface is the bare metal part that makes contact with the hub. The cross-sectional center is the middle of the wheel if you're looking straight down at it from the top. This is where the middle of the tire tread will be. The offset is measured in millimetres from the center. If it were zero, the mounting surface would be perfectly centered. As the number increases from zero, the mounting surface moves toward the outside of the wheel and away from the car. This essentially moves the rest of the wheel in toward the car's body. If the number is negative, the mounting surface moves toward the car's body, moving the rest of the wheel outward. 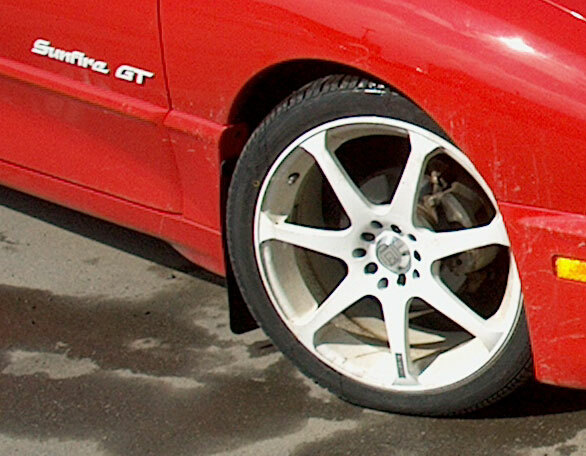 Wheels with negative offset are most often on rear wheel drive vehicles and are often called "deep dish" wheels. Now that you realize how the offset is measured, it is important to notice how different offsets will be required for different wheel widths. The stock offset on a Z24 or Sunfire GT is 42 mm. That means that the mounting surface of the 16x6 wheel is 42 mm from the middle, toward the outside of the wheel. Simple math with show that this means there's roughly 4.5" of wheel overhanging the car side of the hub and about 1.5" toward the outside. This places the wheel in the proper location for the j-body but consider the implication of using a wider wheel like the 7.5" wide wheels I ran. Since the wheels are an inch and a half wider, if I used the same 42 mm offset there would now be around 5 1/4" of wheel overhanging the hub and 2 1/4" toward the outside. This can cause one or both of the following problems. First off, since the engineers designed the car for 4.5" of overhang on the inside, that's what they've provided clearance for. 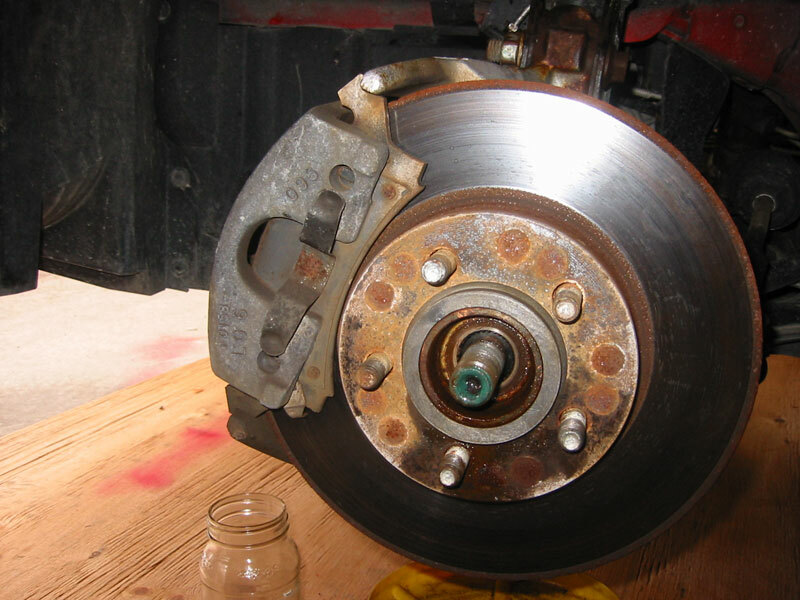 A wider wheel can end up hitting the inside of the wheel well or the suspension components. On the other side, having almost an extra inch of wheel on the outside can end up sticking outside of the fenders. This can cause problems with a lowered car and be a major cause of stone chips on the side of the vehicle. Now that you know the issues, you can start to envision how you'll compensate for them. Obviously, if you've got a 6" wide wheel and are using a 205 mm wide tire you'll want the stock 42 mm offset, regardless of the size of the wheels. When going with wider wheels and tires, things mostly come down to trial and error to find what's best but luckily you have two things in your favour. First off, you can ride on the coat tails of thousands of other j-car owners before you and get some sound advice and secondly, wheel makers tend to only make very few offsets to choose from anyhow. For the most part, if you're getting the wheel in the proper bolt pattern the offset will be just fine for the car. I will happily list incompatible wheels here as people send them to me but in the meantime, rest assured that offset isn't too big a deal with the j-body. On other cars it can cause major headaches but it seems that we've been blessed in this respect. Hub adapters are sometimes called hubcentric rings and yes, you should get some. When you put your wheels on your car, you obviously want them centered on the hub. If they weren't, they'd wobble all over the place when you drive. What most people don't realize though is that simply tightening down the bolts doesn't necessarily center them. It does a pretty good job due to the cone shape of the lug nut base but it's not quite perfect. Note that there are some cars designed with lugcentric wheels. 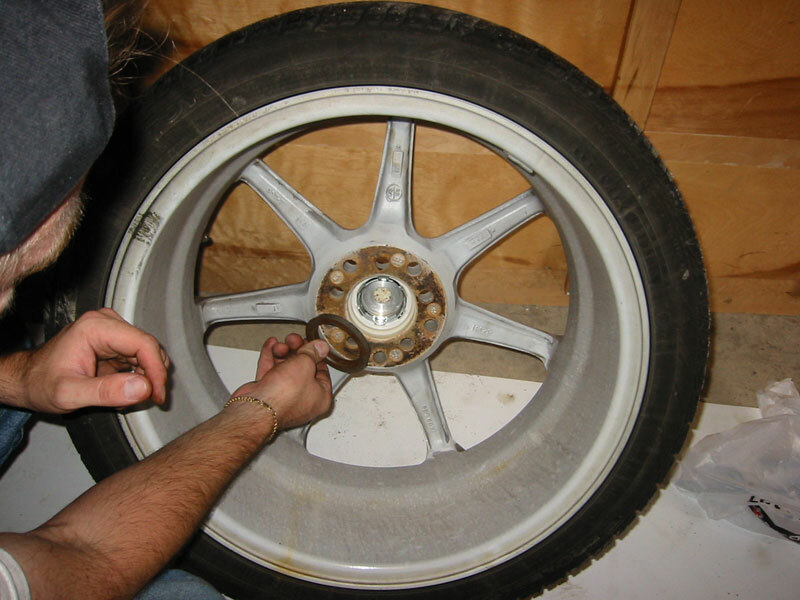 On those cars, the tightening of the lug nuts is relied upon to center the wheels and should be done while the wheel is suspended from the ground. This doesn't apply to the j-body or the Mazda3 though. Think about it for a moment. When you lift up the wheel and place it on the lugs, gravity will make it sit in the lowest possible position. 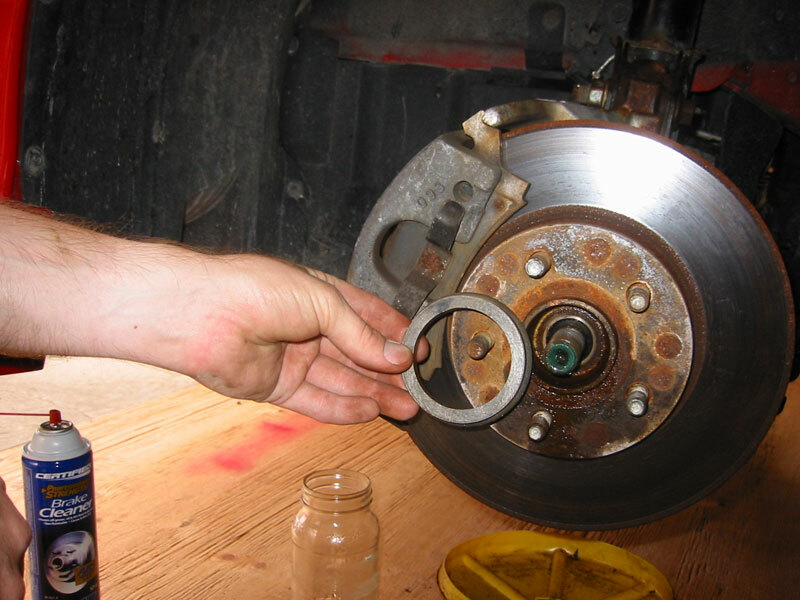 Then you start tightening the nuts, expecting them to pull the wheel into place. It's better than nothing, but hardly perfect. Using a hub adapter ensures that you've got the wheel properly centered before tightening it down. You'll notice that the stock wheels fit flush on the hub. If you tried to put them on a different car with a larger hub and an otherwise identical bolt pattern, they wouldn't fit and, not knowing about hubcentric design, you'd be confused as all hell. As an example, you cannot fit a stock RSX wheel on the Mazda3, even though both have a 5x114.3 bolt pattern because the RSX has a smaller hub. To avoid this issue with aftermarket wheels, manufacturers make the hole in the middle bigger than it has to be and use adapters to fit different sized hubs. The adapter will fit perfectly in the wheel and on your hub and make sure everything is correctly aligned. As a side note, it is actually possible to break lugs if you go without the proper hub adapters. The hubs themselves are what are supposed to bear the weight of the car while the lugs keep the wheel secured. Without the adapters, it is now the lugs that are bearing the full weight of the vehicle and they may not be up to the task. Breaking lugs isn't an especially common occurrance but it's certainly not unheard of either. To get the correct adapters for your car and wheels, you'll have to ask the advice of your favourite wheel shop. I'm not sure if aftermarket wheels use a standard size or not, though they likely don't. Just go to your nearest wheel dealer and let them know the wheel and the car and they should be able to look up the proper adapter size. I believe the hub size on the 3rd gen j-body is 57.1 mm. There's not a whole lot to say here other than that these will almost definitely be necessary for any aftermarket wheels you want to put on. Most aftermarket wheels have much less space for the lug nuts than stock wheels do. This means that in most cases the stock lug nuts will not fit in the holes and you won't be able to use them anymore. To install your wheels you'll need special thin walled "tuner" lug nuts. There are many different kinds available but so far only one that I use and recommend. These are the SplineDrive lug nuts from McGard. The important thing to know is the correct size for your car. If your car is a j-body, then you have M12x1.5 lugs and need appropriate nuts for them. In most cases you'll find the proper ones from any given manufacturer in an application guide. So that's it for my aftermarket wheel installation guide. If there's anything I've missed be sure to send me an email so I can add it.